Did you know that nearly 600 steel cans are used in most homes in the United States annually? Well, that’s according to statistics. If you think about it, you’ll discover that these cans are quite a lot to open. Now, in case you’re among these homes am speaking of here, then I believe you must be going through a lot when trying to open those tomato cans, meat cans or tuna cans. Although there are numerous traditional methods you can employ to open steel cans, using a reliable can opener such as the Hamilton Beach 76607ZA Can Opener is the perfect move that will save you time and still enable you to make clean cuts without leaving metal shavings in your food. A trusted tool for any busy kitchen, the Hamilton Beach is a can opener that guarantees you convenience, simplicity and effectiveness when it comes to opening canned foods. To give you more information about this brilliant kitchen appliance, this article will get to the depth of this appliance to see what Hamilton Beach has in store for its brand’s diehards. If you’re searching for a quality product, the first thing that grabs your attention is definitely the design. Hamilton Beach has managed to design their flagship can opener with a stylish design. The mix of chrome and black colors has truly lured most customers to buy this can opener as it blends well with most appliances and countertops. Still, on the design, the Hamilton Beach 76607ZA Can Opener is sleek and thoroughly modern. Designed with a light weight of just 3.07 pounds and dimensions of 4.7×5×10.2 inches, this can opener will definitely fit on any countertop without taking much of your kitchen space. When it comes to the performance, the Hamilton Beach 76607ZA Can Opener has left most of its competitors in the dust. For easy operation, the ergonomic oversized lever and the super sharp lid cutter are designed to offer a fluid cutting experience that’s much more advanced when compared to the traditional can openers. Whether you’re opening small cans, pop-top cans, medium-sized or extra-large cans, all you need to do is simply to press the lever gently and the cutting process will proceed gently and cleanly without leaving sharp jagged edges in your food. Have I touched anything about the machine’s operation? Well, I guess not. Now, for easy operation, simply unlock the activation lever to fit in the can. When you’re done, press down the lever and allow the cutter to cut smoothly all around the can in one single rotation. Since this can opener doesn’t have an automatic stop feature, you have to stop the operation manually once the lid has been cut entirely. Finally, if you’re searching for a reliable and affordable can opener, the Hamilton Beach 76607ZA Can Opener is exactly what you need. Not only is it affordable, this can opener comes with a limited one-year warranty giving you the confidence to make a purchase. The Hamilton Beach 76607ZA Can Opener is ergonomically designed making it a perfect option for all kitchen enthusiasts. Its cool mix of black and chrome outer finish allows it to blend well with most kitchens while the smooth touch lever makes this tool perfect for all users even those suffering from carpal tunnel syndrome and arthritis. 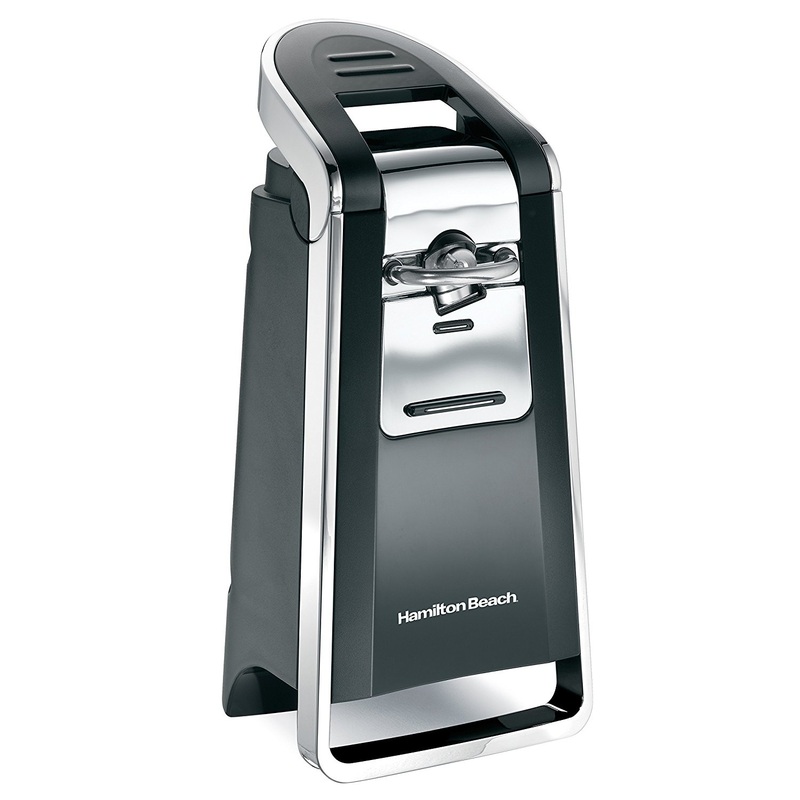 The Hamilton Beach can opener is made of stainless steel with stylish black and chrome complexion. The ergonomic design allows this can opener to open cans of different sizes as well as pop-top cans. This appliance is extra tall making it possible to open extra tall cans. Operation is quite simplified even for users suffering from arthritis or carpal tunnel syndrome. This can opener doesn’t have an auto-stop function so in case it goes past the starting point, it starts creating metal shavings which are dangerous once they fall in your food. How do you rinse the blade after use? During operation, the Hamilton Beach can opener doesn’t get into contact with your food. Therefore, rinsing the blade is quite easy as you only need to use a damp cloth. Does this can opener work with all cans? Well, that’s a good question. Based on this review, it’s evident that this can opener is capable of devouring all types of cans regardless of whether the lids are hard or soft. 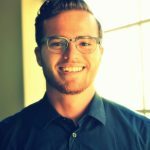 By following the right instructions, cutting is usually an automatic process that is free from any hassle. In addition to that, this can opener features an ergonomic design that lets you cut all types of cans regardless of whether they’re small or extra-large. Compare with other can openers here. How do I use this can opener? First, connect this can opener to the power outlet. Secondly, pull up the activation lever to ensure it’s in the unlocked position. Thirdly, place the can to be opened close enough to the can cutter and ensure the rim is under the cutting mechanism. Finally, hold the lever down and wait for the cutter to cut through the lid. Make sure that you release the lever once the machine completes a single rotation. How do I clean, care and maintain my can opener? Cleaning and caring for the Hamilton Beach 76607ZA Can Opener is quite easy. First, do not hold the can when cutting is in progress. Secondly, clean the appliance using a damp cloth. Finally, you don’t have to oil the motor as it’s already lubricated. Overall, the Hamilton Beach 76607ZA Can Opener is exactly what you need when it comes to cutting food cans. Instead of using traditional tools, this electric can opener is able to do the job perfectly while leaving no traces of metal shavings in your food. Although some people have complained about presence metal shavings, I think that’s because of lack of an auto-stop feature which prevents the machine from going past the starting point. This electric can opener is budget friendly, easy to operate and stylish making it a must-have for the modern kitchen.